Nominations for the 2018 Tawa Community Civic Awards are now open. Nomination forms are available at the Mervyn Kemp Library. You can also nominate online at wellington.govt.nz/rd/tawa. Nominations closed on Friday 18 May. The awards ceremony took place on Thursday 7 June. 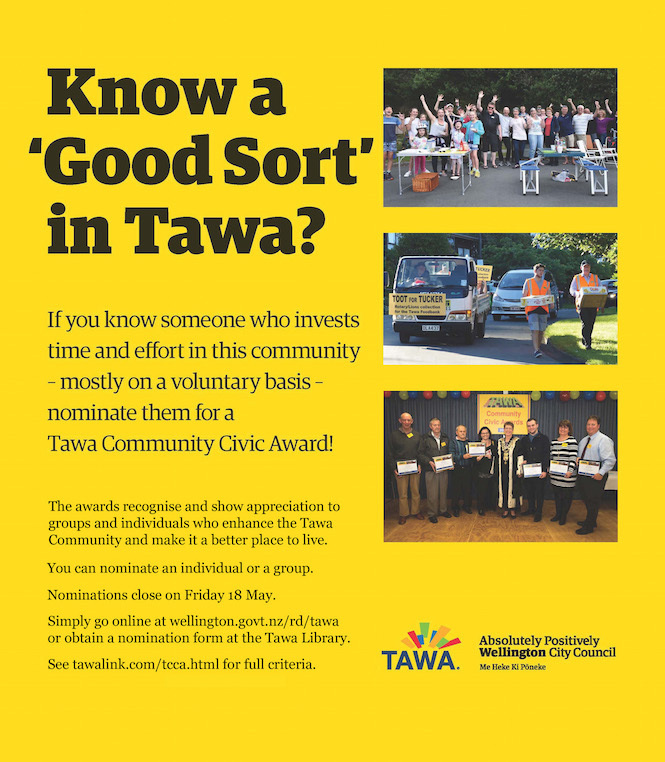 For more information about the Tawa Community Civic Awards, click here.